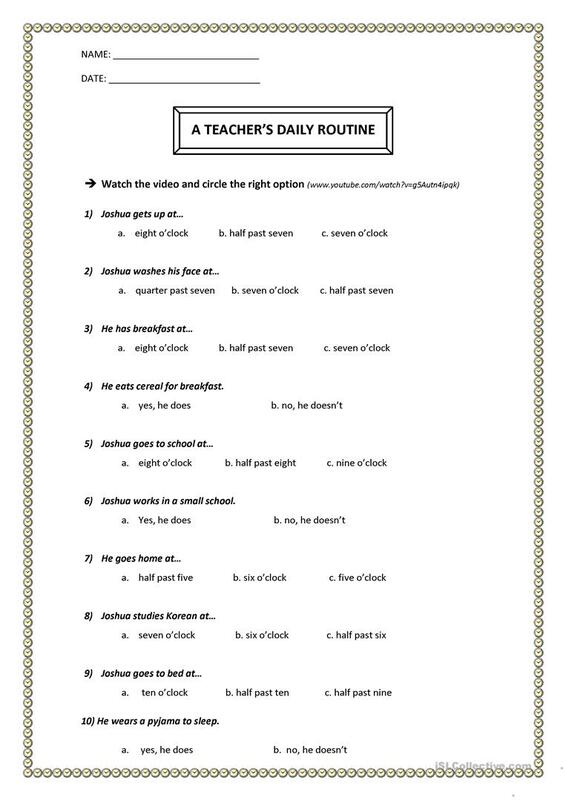 watch the video about this teacher's daily routine and circle the right option. This downloadable printable was created for elementary school students, adults and students with special educational needs, learning difficulties, e.g. dyslexia at Beginner (pre-A1) level. It is a valuable material for enhancing your pupils' Listening skills. It focuses on the theme of Daily routines.